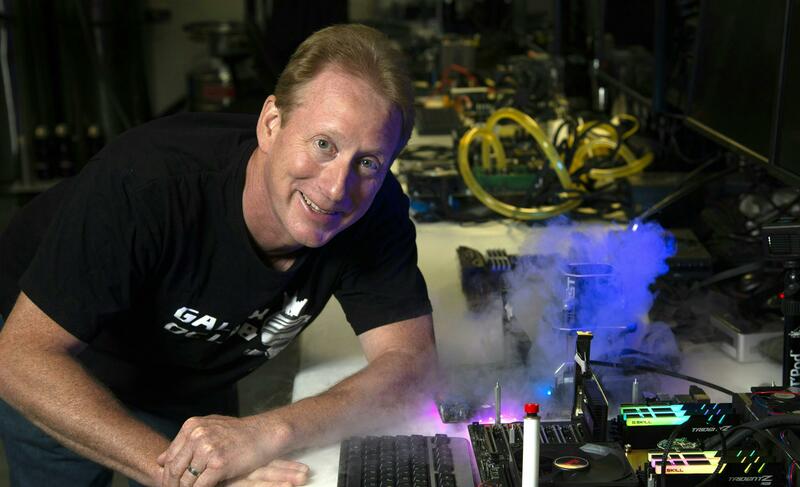 The never-ending quest: A big part of Guy’s job — to increase the performance of Intel’s PC processors — is never done. He and his team are constantly “coming up with new things and squeezing the most out of current technologies in order to get maximum performance,” Guy explains. The many variables that govern the addition of a new feature — the time and cost to develop, the cost and layout of area on the chip, and overall desirability and longevity — make for “a fun puzzle,” Guy says. If more cores are not needed, “then actually it’s a negative to have a large number of cores.” More cores means more heat, Guy points out. At a set thermal envelope, or TDP, the performance ceiling of each core is lowered to keep total heat in check, slowing those typical applications. Not all cores are created equal: Guy and his team invented an ingenious way of delivering high-quality cores and realizing the full performance of each of the cores. “Some cores have higher frequencies at the same voltages as others,” he explains, due to natural variability in the manufacturing process. Intel® Turbo Boost Max Technology 3.0, a feature within Intel® Core™ X-series processors, simply prioritizes applications that only need one or two cores onto those best-performing cores. That means the machine can handle demanding, multi-threaded applications, like editing a 360-degree video or rendering 3D effects, as well as lightly threaded applications, like everyday office apps with equal dexterity. Up for the high-core chore: “There is a relatively small but important segment of the client computing that can utilize more cores to build advanced workstations for optimal performance and efficiency in workloads such as 3D rendering, simulation or 360-degree video. We will offer higher core count products to meet their needs, and we’ll continue to strive to be the overall performance leader. Our approach to deliver high core counts is to use monolithic dies instead of patching together a group of small dies. This approach has the advantage of decreasing latency you have heard of in high-core-count approaches. It also reduces the performance variability of workloads as this group of consumers won’t take any compromise and will really care about the consistent execution of workloads.